In the chemistry lab, students are able to analyze colorless salts and divide acidic and basic radicals as a part of qualitative analysis. 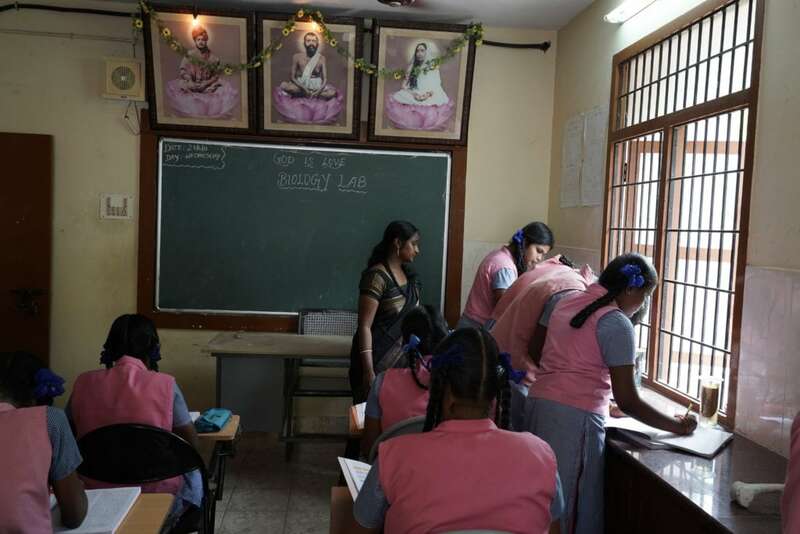 This lab caters to Botany and Zoology subjects for Higher Secondary students. The lab is equipped with the slides necessary for these students. Fresh specimens are provided to the students during the practical classes. The slides and specimen are updated yearly to cater to the syllabus. 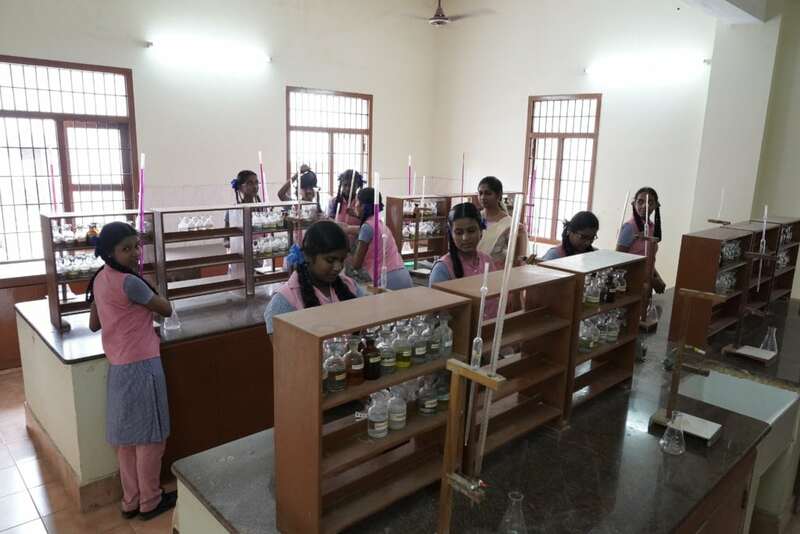 The Science lab caters to students from Class VI to X and is spacious, equipped with all basic facilities including charts, specimens, models and slides that are required to enhance scientific practical skills among the students. Laboratory activities have been designed to engage the students carry out individually, or in small groups or as large group demonstrations. The lab motivates the students carry out their project works easily so as to enhance their knowledge. The students on their part show interest and carry out experiments enthusiastically. This is an innovative lab setup by NIIT and it helps students overcome their fear about mathematics and makes learning enjoyable. Students operate the system under teacher’s guidance and and they are able to understand the difficult concepts that are simplified by technological learning. Using the manipulates, students create various shapes and estimate perimeter and areas for these figures. ‘Learning by doing’ is the main idea behind this lab and adequate opportunities are provided to all students for grasping the concepts and retaining them forever. 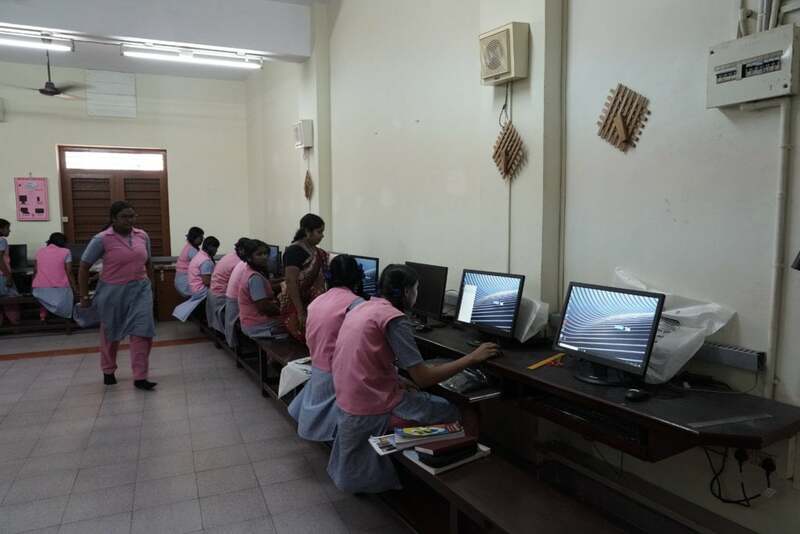 Students from Class VI to XII use the Computer Lab under the guidance of fully trained competent teachers. 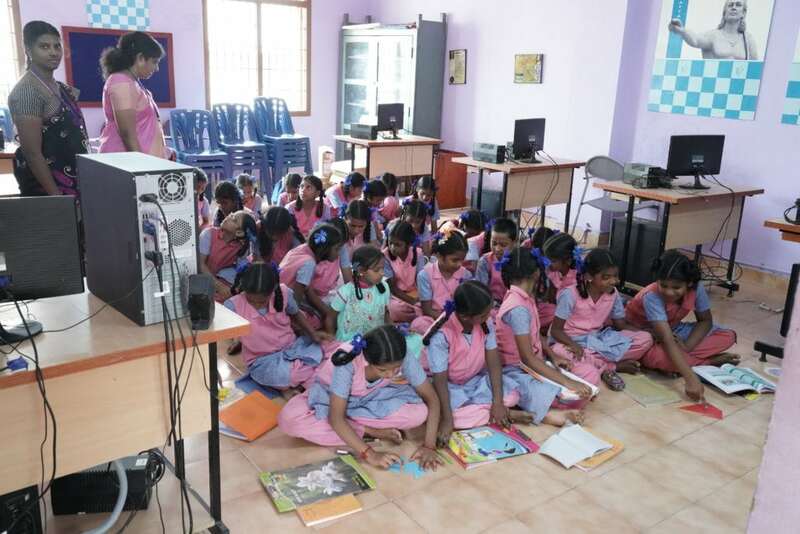 While the students of Class VI to IX learn the system basics like MS Office, Visual Basic and HTML, the higher secondary students learn Window basics, Linux OS and programming languages like C and C++. Practicals are conducted for Class XI and XII students and assessed for their internal marks. Students eagerly learn and enjoy the practical classes. These practical classes enable the students to understand the theory better and are able to perform better in their examinations. Some classes are taken using the Projector so that students learn the theory visually. There are around 30 desktop systems in the lab and students work on them individually. All the computers in the Lab are provided with Broadband Internet connection for students to browse and learn from Internet resources.